How Do You Mount Your Grips? Simple right, a dab of glue and slide them on and forget about them! Are there other things you could consider? 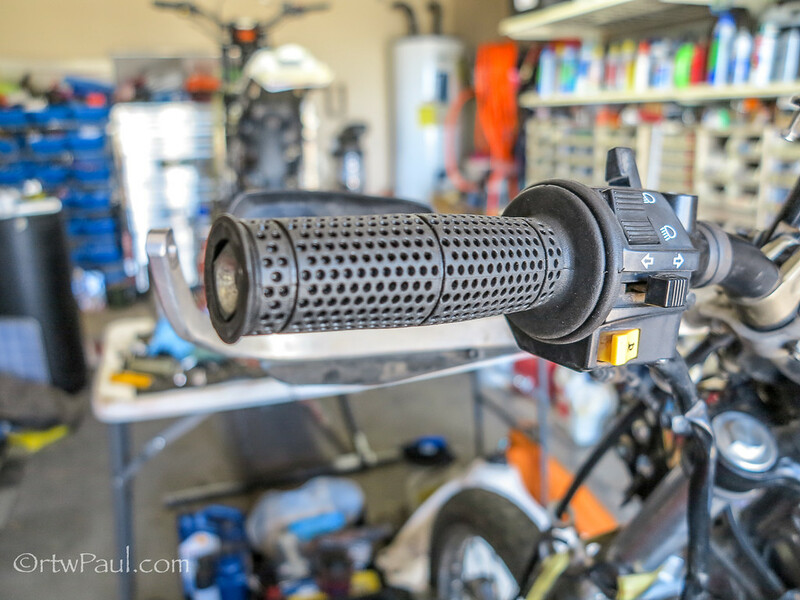 Get the old grips off first can be a struggle, try an air nozzle with a long tube type outlet, start at the side more towards the center of the bike force it in there and rotate the nozzle and pull the grip outwards, twisting and rotating as you go. The air pressure will lift the grip off the bar slightly and make it easier to remove, especially if there is an end cap on the grip. This is especially useful if you have heaters on your bars it won’t damage them. 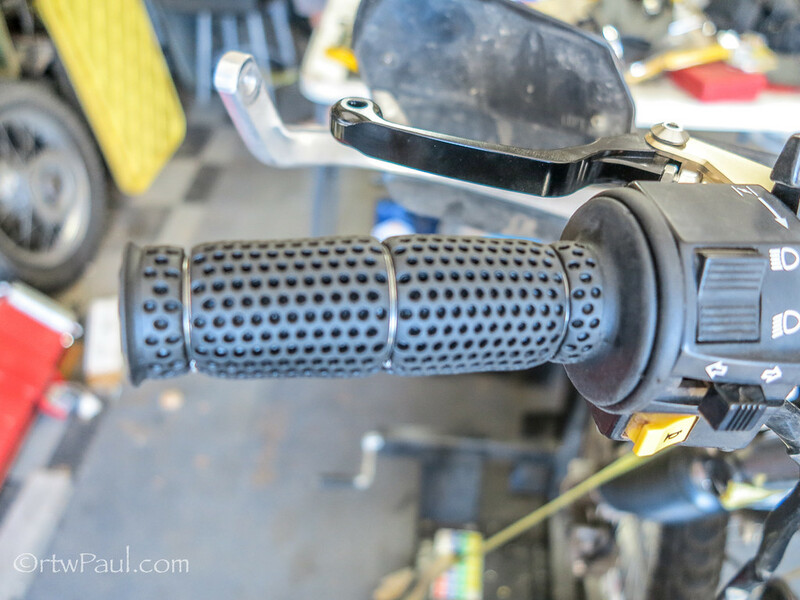 Right now we are riding with 714 Rally Grips available all over the place and about $10, are they any good, yes! We have over 40,000 miles on them on our current DR650’s and over 60,000miles on my Super Tenere and they still look and feel the same. But I found a way to make them a little more comfortable, for me, and it might help you. 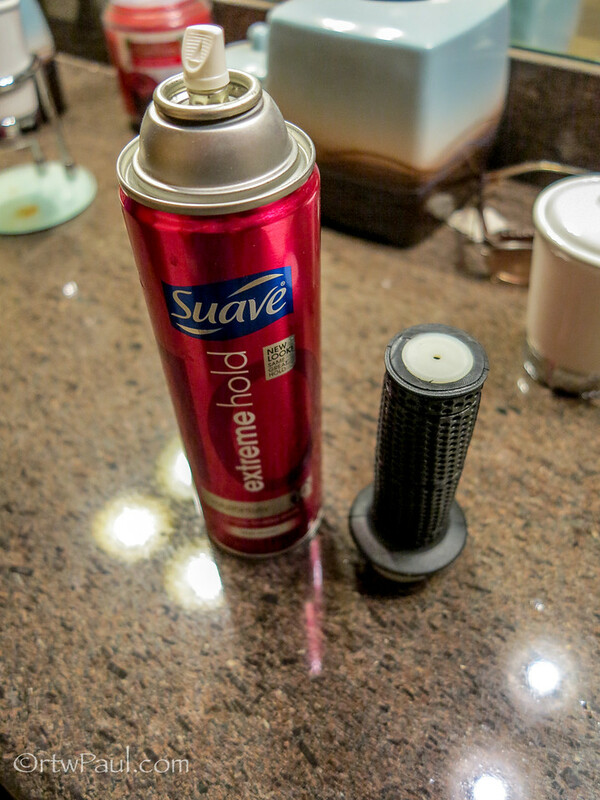 Getting the grips on can sometimes be a struggle, grip glue can get everywhere except where you need it, try hairspray as an option or addition, very tacky and helps the grip slide easier. Do you ride offroad or plan to, safety wire them in place so they won’t ever rotate or slip.